Edges: slip 1st st pwise, p last of every row, and 3 sts in seed st for a total of 4 sts worked on each edge. 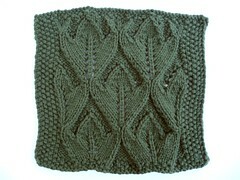 Work the first and last 2 rows in seed stitch for a top and bottom border. It's close to being too tall.